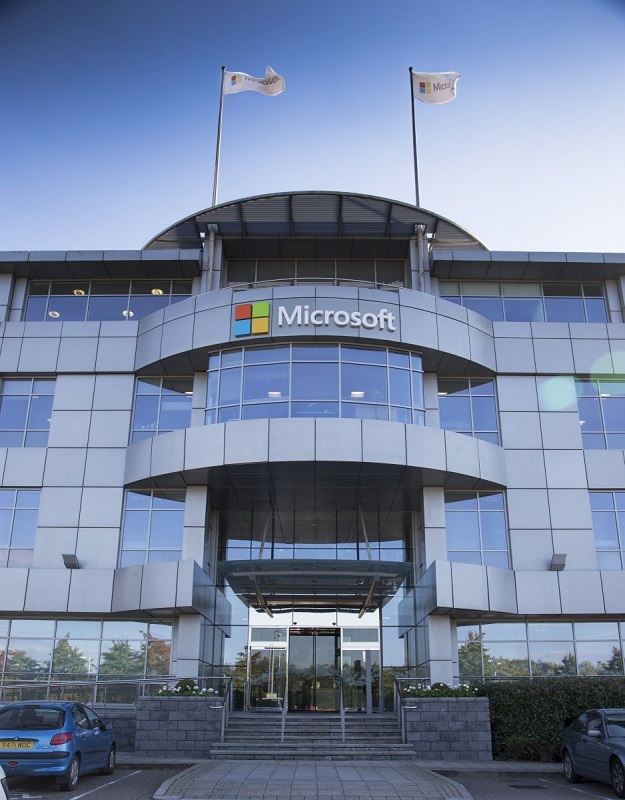 Thames Valley Park, Reading is home to some of the world’s highest profile companies, including IT giant, Microsoft’s UK headquarters campus. In the summer of 2016, Signbox was appointed to undertake a full signage audit across this 200 acre business park. 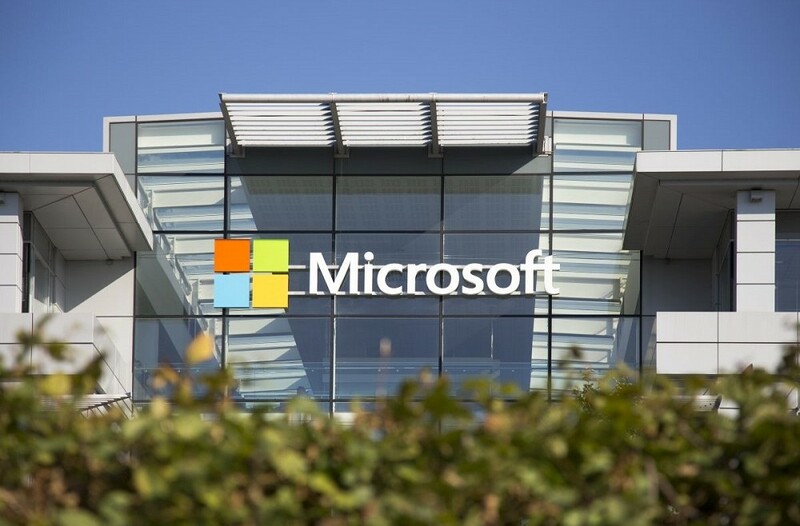 Engaged initially by commercial property consultants CBRE, Signbox was tasked with redesigning more than two hundred signs with a brand refresh issued by Microsoft’s corporate communication team in the USA. 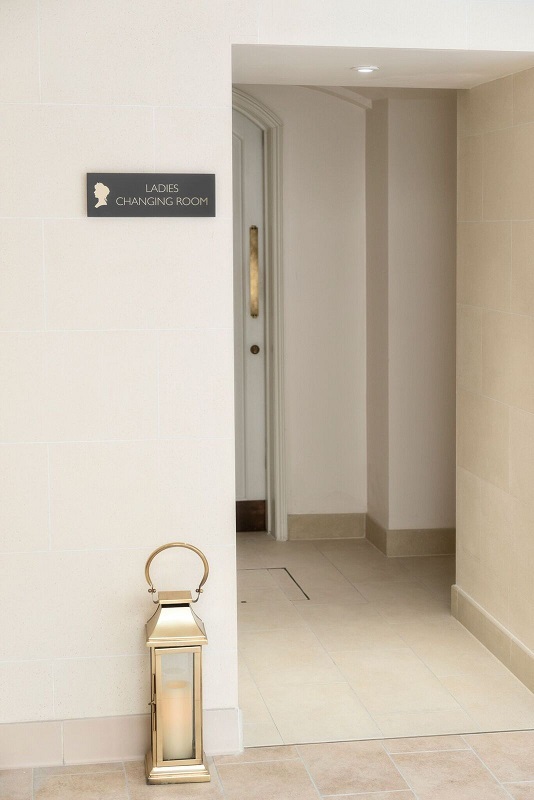 The brief included external high-level signage, numerous wayfinding totems, internal reception branding, and an LED illuminated 8 x 2 metre monument sign. All had to meet intelligent detailing that demanded vibrancy with functionality, and precise on-brand consistency. To keep disruption on this busy campus to an absolute minimum, all work was carried out over evenings and weekends over a three month period. Hotel Designs: Could you tell us a bit about yourself, your career in the industry to date and your involvement in Modulex? Eric Kirwan: I am Eric Kirwan, CEO and President of Modulex A/S, founded in Denmark in 1963 by the LEGO Group and have been providing wayfinding and signage to many of the world’s most iconic projects. Prior to that I was part of GROHE’s International Projects Team working with many of the leading hotel groups and their design teams. 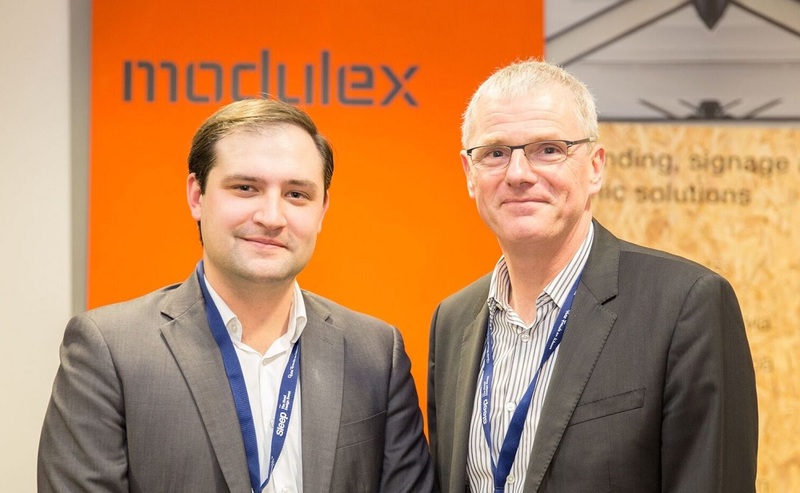 In 2014 I rejoined Modulex as CEO and President of the Group at the headquarters in Billund, Denmark, responsible for global operations, leading the implementation of projects across market sectors including healthcare, education, corporate and hospitality. Recent hotel projects for Modulex include First Hotels, Park Regis, Melia projects in the USA and Caribbean and the Gainsborough Bath Spa (shortlisted European Hotel Design Award 2016). 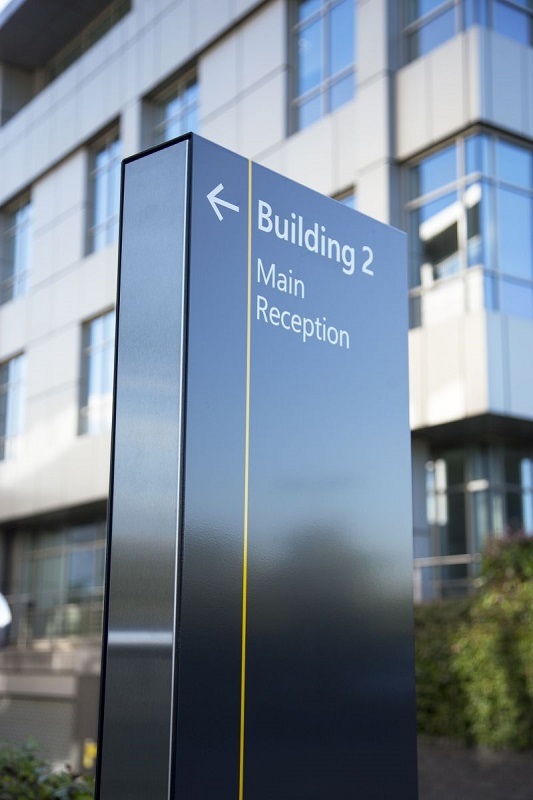 HD: Modulex specialises in ‘wayfinding’ – how would you summarise what that means and just how important is it? EK: Wayfinding is simply spatial problem solving. In the same way that a designer considers the best use of a space with careful consideration of its potential users, the role of the wayfinding consultant is to take into account the area and the users, identifying circulation patterns, decision making or dither points and carefully directing users in the necessary direction or perhaps even disrupting them, when and where appropriate. 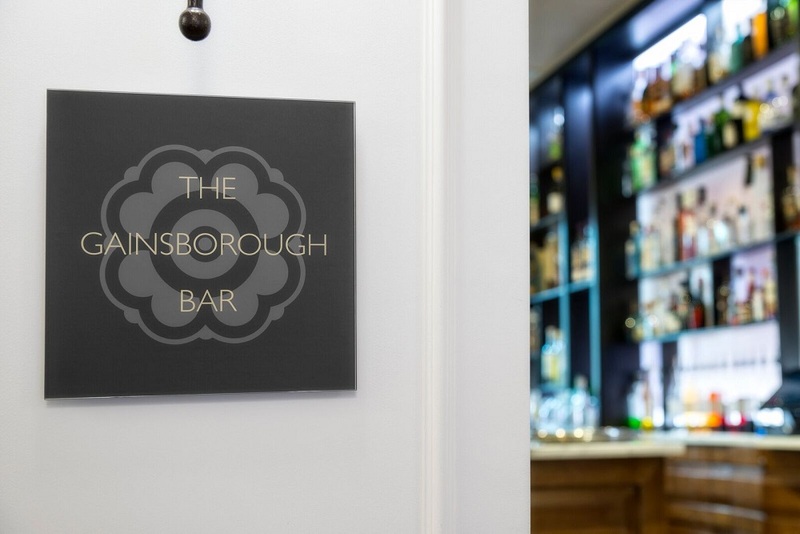 HD: What makes good signage/wayfinding – especially in the hospitality industry? 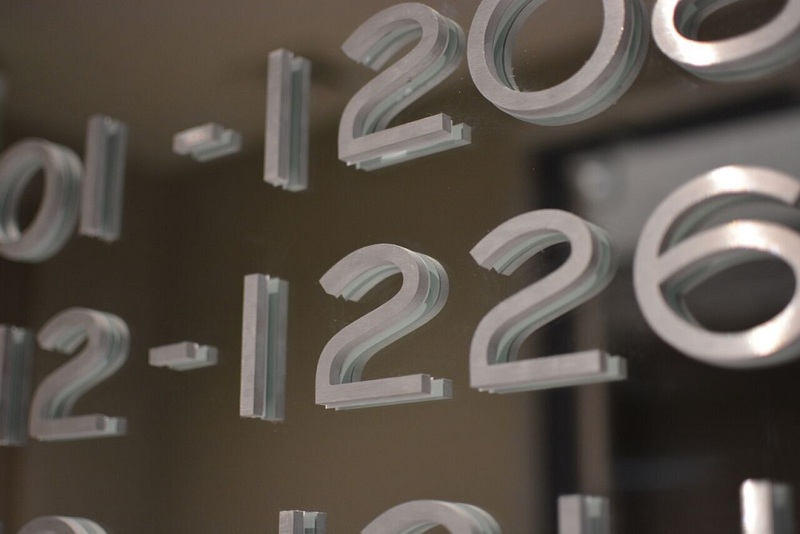 EK: Good wayfinding is intuitive, seamless, integrated with the architecture and interiors. To deliver it means understanding the users of the space – first time or frequent visitors; demographics; their needs and wants, their state of mind and their level of concentration or distraction. Next comes the physical understanding of the built environment. Primary and secondary routes need to be established, decision making or ‘dither’ points noted as this is where you may need to ‘wake people up’ so as not to miss an important turn or event. Are there any landmarks which can aid wayfinding? Has lighting been considered and reading distance and sightlines calculated? Only then can you begin to design. Selecting materials, colours, graphics and typefaces which ‘blend’ and where necessary contrast with the environment. HD: We recently read about ‘playfinding’ – wayfinding mixed with enjoyable experiences for people to interact with on their ‘journey’. Just how innovative is this sector? EK: This is a hugely exciting trend and an opportunity for hotel brands to further endorse the brand experience, particularly if they are targeting a particular demographic. 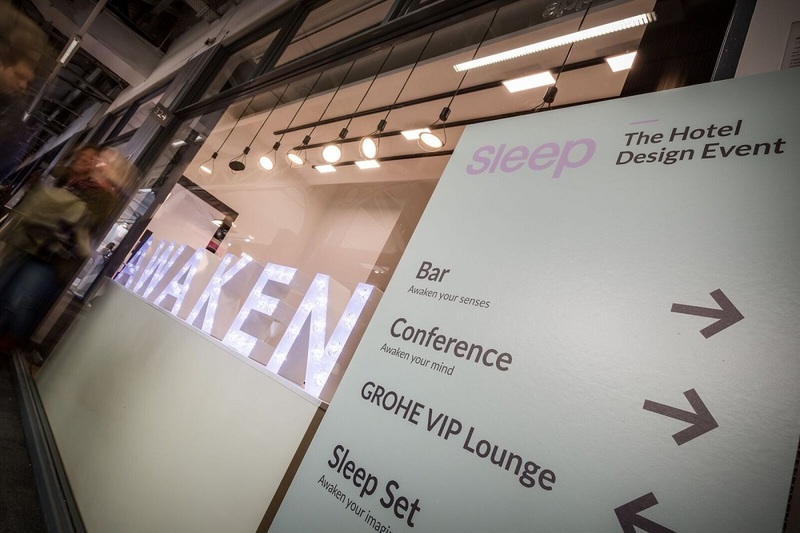 At the recent Sleep event, where Modulex worked with the organisers on wayfinding, the Sleep Set rooms were designed for a specific “Tribe”. The winning room from Gensler designed for the Digital Avant-Garde Tribe would definitely be a group who would grab the opportunity for some “playfinding”. HD: What sort of technological trends are we seeing coming through in signage? 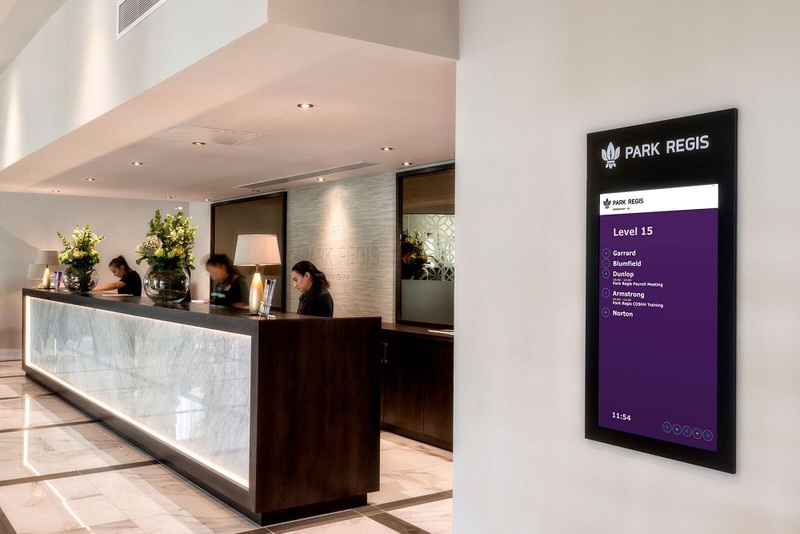 EK: Digital signage is not a new innovation but we are seeing a significant increase in requests from operational managers in large hotels looking to simplify their conference and events systems. 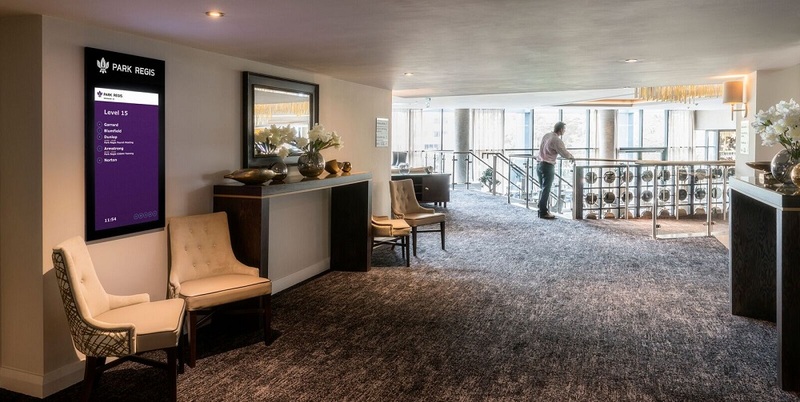 These same large hotels could also benefit from indoor navigation technology which enable visitors to navigate to their meeting room, for example, using their mobile phone. With the increase in self check-in within some hotel groups there will be more demand for digital solutions to wayfinding which can be quickly updated in real-time. HD: If you could tell architects and interior designers one thing about wayfinding, what would it be? EK: Keep it simple. The best wayfinding solutions use the least amount of signage to guide people from a to b; take advantage of the architecture and landmarks as part of the solution. Make sure to ask yourself four simple questions about the signage: Can they see it? Can they read it? Can they understand it? Can they trust the information? If you have positive answers to all the questions then you’re working with a good scheme. If not, contact us!